Though side bars and running boards are sometimes used interchangeably by some manufacturers, ARIES makes a few key distinctions between the two categories. The following points are intended to help you choose which product will best serve your needs and preferences. Side bars are referred to by many names, including nerf bars, step bars and side steps, to name a few. A side bar's primary function is to provide a stepping surface into the vehicle. For this reason, they are generally used on larger vehicles, such as pickup trucks and SUVs. 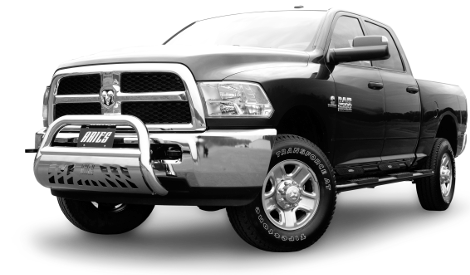 However, for aesthetic value, they are also found on smaller vehicles, such as compact SUVs and crossovers. Side bars are typically designed to mount with a certain amount of space between the step and the body of the vehicle. This space can vary, depending on the model, but it is generally a few inches. 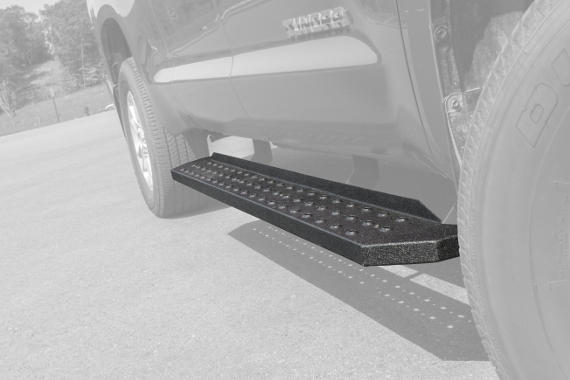 They are also designed to mount low on the vehicle, allowing for less ground clearance but providing a more functional step for lifted vehicles. 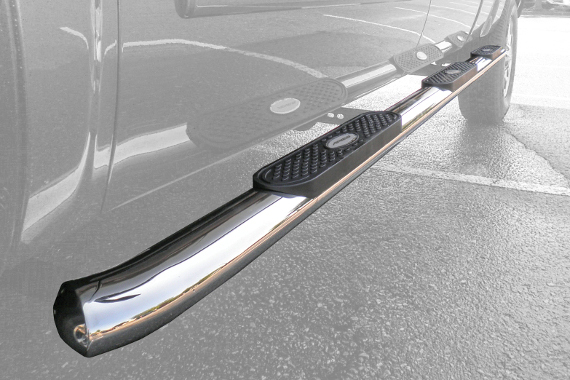 Side bars also usually have individual step pads to correspond to each door on the vehicle, and they are generally narrower than running boards. Like a side bar, a running board provides a stepping surface into the vehicle. However, it generally mounts flush against the vehicle's rocker panel, or closer to it, instead of leaving a gap. Running boards are also typically wider than side bars and have an overall flatter profile. Instead of individually placed step pads, the flat stepping surface usually has a tread that spans the length of the board. Running boards are found on everything from larger pickup trucks and SUVs to smaller crossovers, providing a convenient step and additional aesthetic value. Unlike side bars that mount down and away from the vehicle, running boards typically offer more ground clearance, making them an excellent choice for lower vehicles.